TORONTO – Although 2016 found the GTA under the microscope for its sky-high real estate prices, new numbers from the Canada Mortgage and Housing Corporation (CMHC) have indicated that foreign ownership of condos may not be a major contributor to “seller’s market” conditions. Based on vacancy research conducted in October and November, the Corporation’s newest Housing Market Insights report revealed that just 2.2 per cent of Toronto’s condos are owned by investors primarily residing abroad. That figure represents a decrease from last fall, when foreign condo ownership was reported at 3.3 per cent. The report’s authors noted that 2015’s higher percentage was “due to an unusually high proportion of foreign ownership in newly constructed condominiums. 2016’s level of foreign ownership is, by contrast, more comparable to that of 2014 – when the CMHC began annually collecting foreign ownership data. “Foreign ownership is just one factor influencing Canada’s housing markets – but it’s an important one that continues to gain attention,” said Bob Dugan, the CMHC’s Chief Economist. Of Toronto’s “sub-areas” tracked in the CMHC’s research, the one with the highest concentration of foreign condo ownership was Toronto Centre, at 3.5 per cent. The GTA outside of Toronto had a rate of 1.4 per cent (comparatively lower than 2.6 in the city). 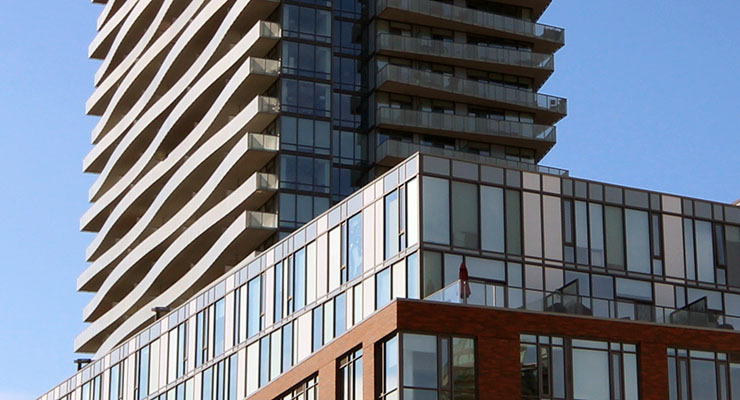 Among foreign investors, the Toronto CMA’s most popular condos continued to be those completed in 2010 or later, 3.9 per cent of which were foreign-owned in 2016.